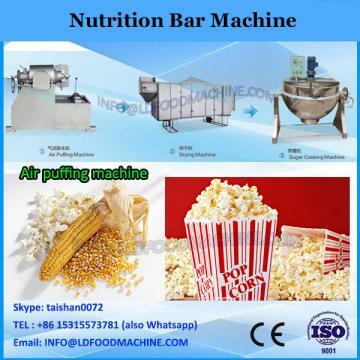 COB600 Nutrition Bars/Cereal Bars Automatic machine line. line base on more than 30 years experience and advanced technology. is also an ideal equipment which can produce out good quality products with the saving of both the manpower and the space occupied. Cooker the sugar and mix with powder or soy protein, and roll forming, after cooled longitudinal cut and shunt transport then transverse cutting. The products can choose coated or not coated, and by the automatic pillow packing machine line package. 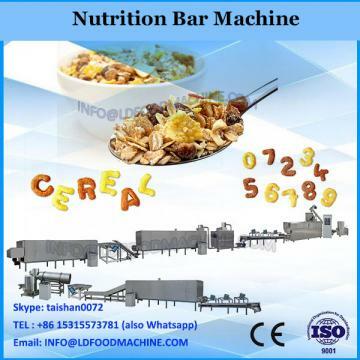 COB600 Nutrition Bars/Cereal Bars Automatic machine line is our company's self-developed COB600 Nutrition Bars/Cereal Bars Automatic machine line according to European and American equipment, COB600 Nutrition Bars/Cereal Bars Automatic machine line has a high degree of automation, stability, simple operation, high yield, short process time and other characteristics, and effectively improve the various defects in the original tradition. Widely used in all kinds of baby rice noodles, sesame paste, walnut paste products, is a new and efficient . produced foods with unique shape, many flavors and colors, and scientific scientific nutrition, has a reasonable structural design, screw is a special material, has a fast self-cleaning function, high machine stability, easy to learn, accurate parameters Control can ensure that the products produced have the same shape, taste and color.